The chamber office will be closed on Thursday March 29th and Friday March 30th. We will re-open on Monday April 2nd. Attached is a monthly letter from our president, Arla Murphy with updates about our chamber. 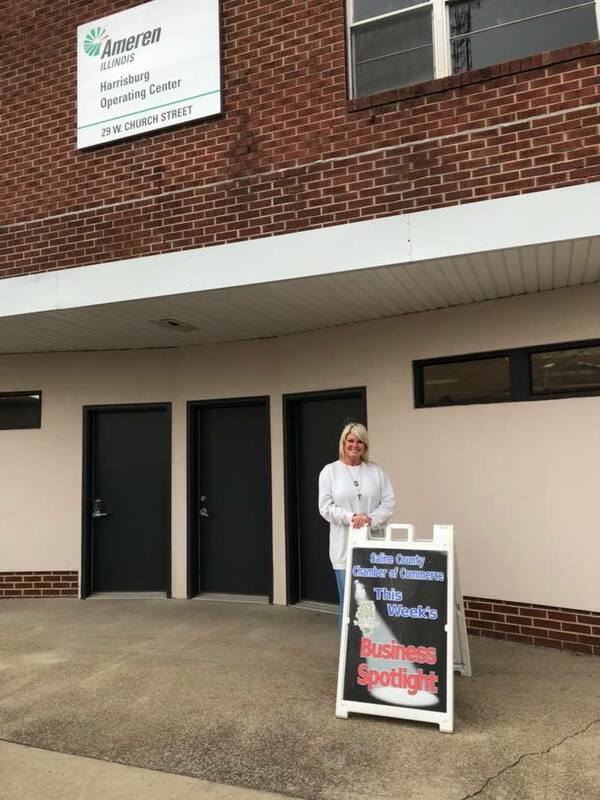 The annual Saline County Chamber of Commerce Business Expo is planned for April 12th. The event will be held at the Bonan Business Center from 4:30-6:30 PM. This event is open to the public and gives businesses a chance to show off their products or services. We will be allowing sales at this event. The deadline to register a booth is March 30th . Space is limited, don't wait to reserve your booth. 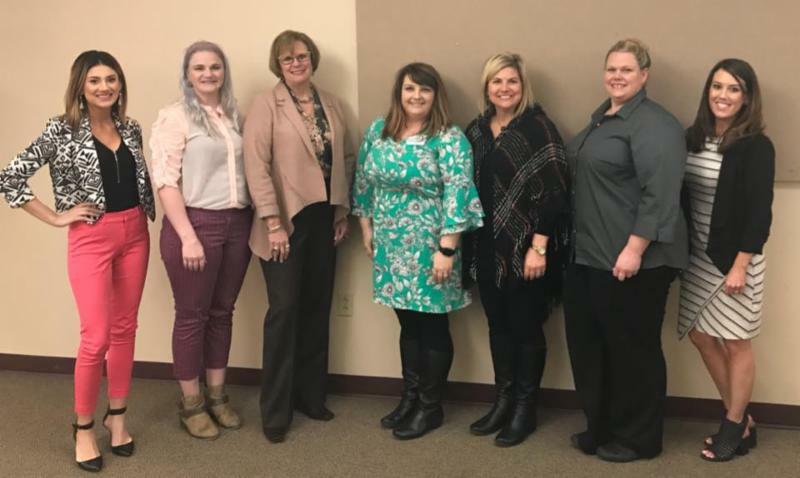 Saline County was represented at the Regional Luncheon by Danielle Bradley with Joyner Therapy, Jessica Stephens with Michael Steward & Associates, Angela Rowe with Decorating Den, Arla Murphy with WLC Management, Olivia Bradley with Legence Bank. 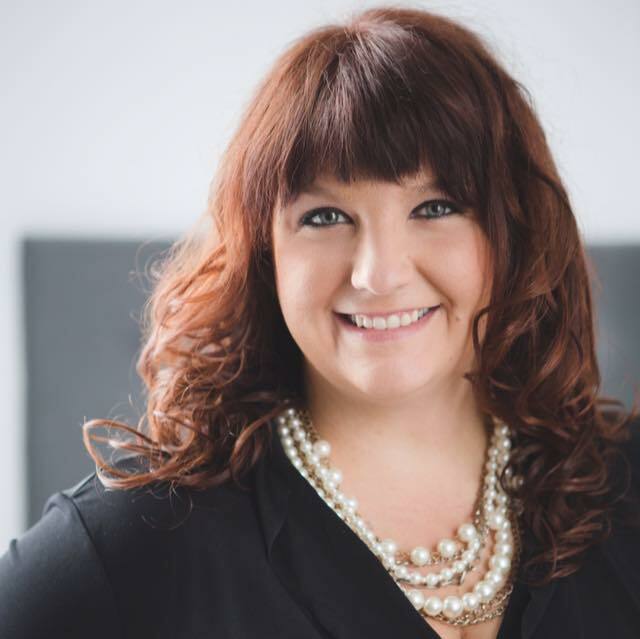 Kristen Shull with the chamber, and Emily Shaw with Clearwave Communications. 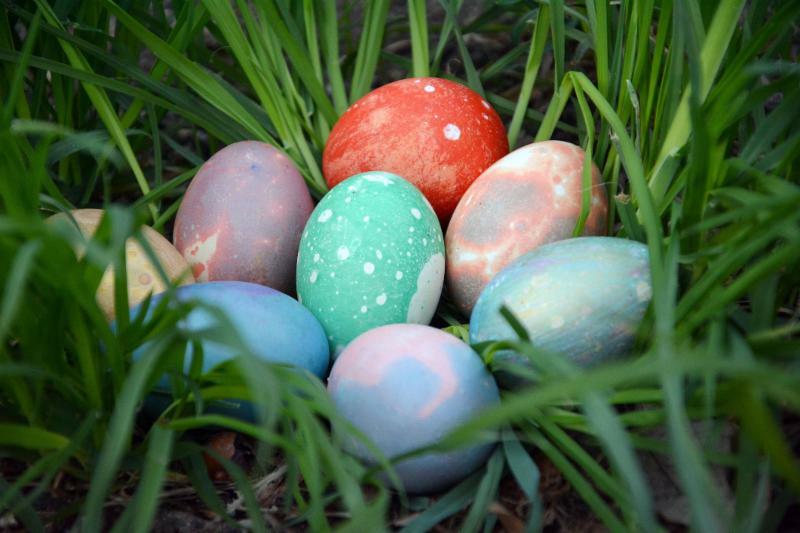 The Easter Eggs-Travaganza at the Villas of Holly Brook was a success even though the weather was less than ideal. All of the children seemed so excited to see the Easter Bunny and even enjoyed doing the Easter Egg hunt. 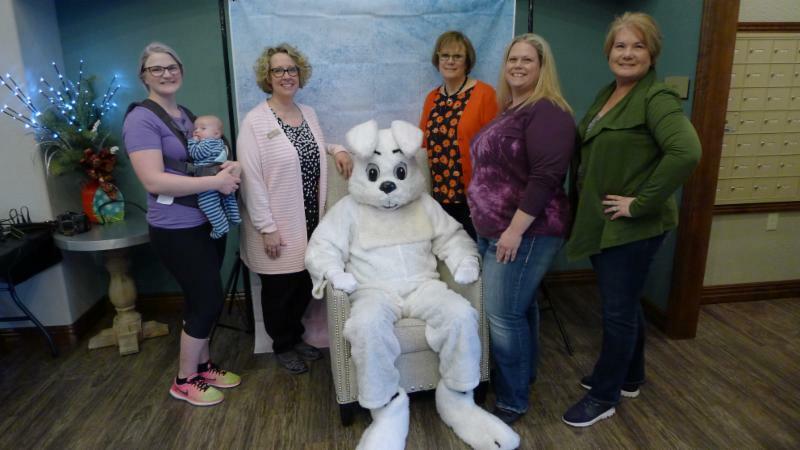 Pictured above are Jessica Stephens with Wil Stephens, Gloria Tison, Mr. E. Bunny, Angela Rowe, Kristen Shull, Ayn Bartok, and James Bond (not pictured). Congratulations to Ameren Illinois, they are the Saline County Chamber of Commerce business of the week! 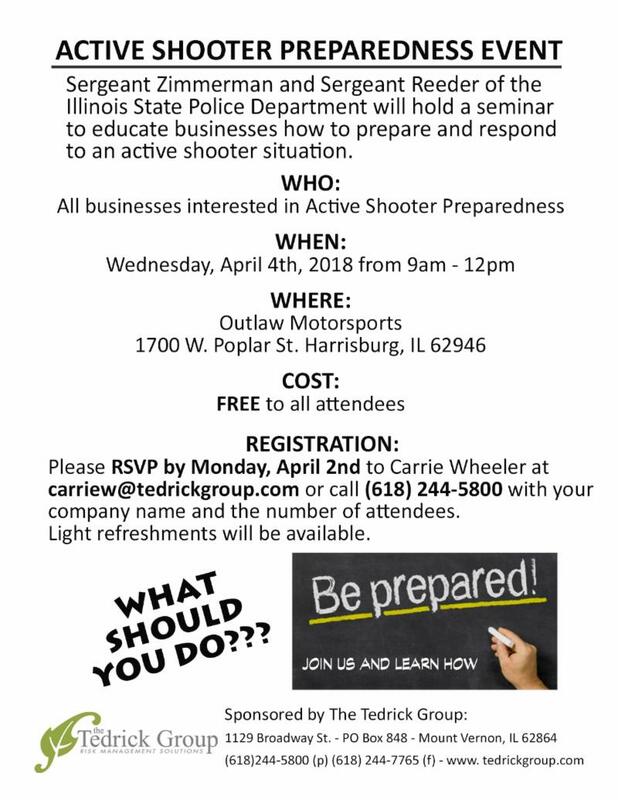 Harrisburg, IL— State Sen . Dale Fowler (R-Harrisburg) returned to the 59 th District after the Senate adjourned on March 14, meeting with local organizations, supporting local business owners in the region and spending some time back in the classroom. Kicking off his time back in the District, Sen. Fowler attended the Gallatin County Future Farmers of America for their 4 th Annual Alumni Association Fish Fry on March 16. Everything they made and sold was homemade, with both active FFA members and former alumni members coming together to put on the event. The proceeds go toward Alumni initiatives, including annual scholarships. Sen. Fowler also met with members of the Harrisburg High School FFA, joining them on March 22 for a visit and tour of the recently renovated high school facility. Also during the week, Sen. Fowler joined the Southeastern Illinois Regional Planning and Development Commission for their 50 th Anniversary Banquet. The Commission works with local governments and the residents in Gallatin, Hamilton, Hardin, Pope and Saline counties to encourage economic growth and prosperity in the region. Sen. Fowler worked closely with the organization when he served as Mayor of Harrisburg and was happy to join them for their anniversary celebration. Also during the week, Sen. Fowler attended the 10 th Annual Williamson County Traffic Safety Days at The Pavilion in Marion on March 20. 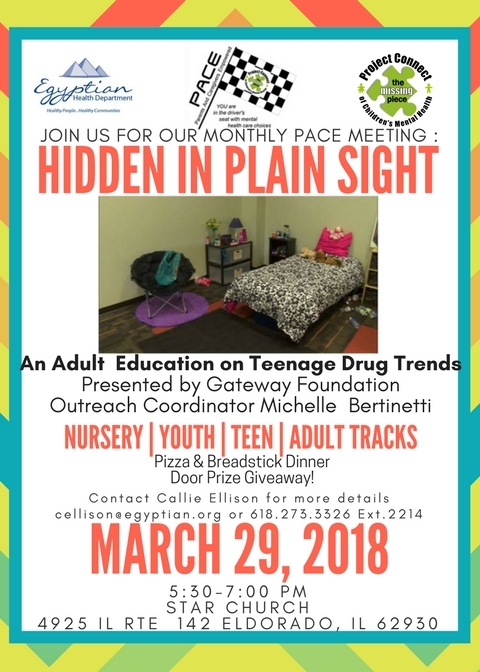 This event is dedicated to educating students on road safety, including sharing the road with other motorists, issues with distracted drive and the dangers of drinking and getting behind the wheel. This event has continued to grow over the years, with an estimated 1,500 students attending in 2017. This year, 31 schools participated from 11 counties. The IPC has a confidential helpline that can be reached at 1-800-222-1222 and can be contacted if you or someone you know is suspected of being exposed to a poisonous substance. The American Red Cross also offers information on poisoning safety and first aid , including the importance of keeping medicines and chemicals secured and reading medication instructions closely.